Albert Jan de Boer (Netherlands, 1992) started singing with the Martini Boys’ Choir of Sneek at the age of 7. Since 2009 he is a baritone with the Roden Boys’ Choir. In the period 2013-2016 he participated in Meesters&Gezellen several times, a project in cooperation with the Nederlands Kamerkoor and Cappella Amsterdam, conducted by Kaspars Putniņš, Daniël Reuss and Sigvards Kļava. 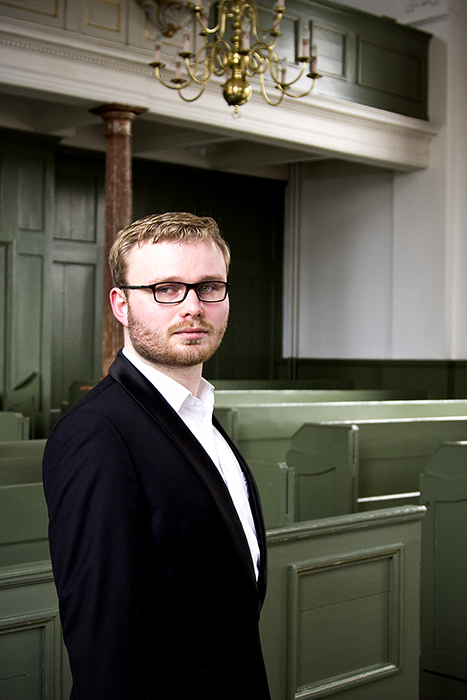 In 2014 and 2015 Albert Jan participated in the Tenso Europe Chamber Choir, organized by Tenso, the European network for professional chamber choirs, led by Kaspars Putniņš. 2013 he started is vocal studies with Geert Berghs. In 2000 Albert Jan started with piano lessons at the music school in Sneek. From 2007 he studied piano and music theory lessons at the Ferwerda Academie in Drachten. In 2011 he continued his piano studies with Anastasia Goldberg at the Prince Claus Conservatoire in Groningen, where he is currently doing a BA in Music in Education. He passed his piano exam, a public recital, with distinction.